I noticed on the maps that this high, wide, beautiful valley between the Black Hills and north of Prescott, Arizona is called Lonesome Valley. It’s getting kind of crowded these days, but fortunately there is still lots of National Forest and other public land surrounding it on which to roam. From the town of Chino Valley I drove east on Perkinsville Road. Finding a nice vantage point, I made a four shot panorama to be merged later in Photoshop into a single, high resolution, very large digital image. Here is a blog-friendly version of the finished product. Click on the image to see a much larger version. The Perkinsville Road, east of Chino Valley in Yavapai County, Arizona. In the far distance is the bluish silhouette of Granite Mountain. 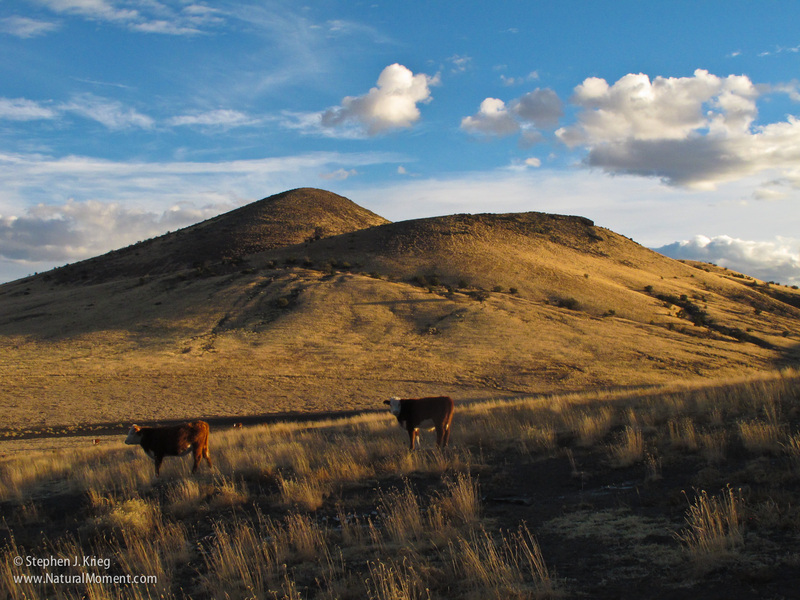 Cattle at sunset amongst the volcanic cinder cones at the northern edge of the San Francisco Volcanic Field, north of Flagstaff, Arizona. 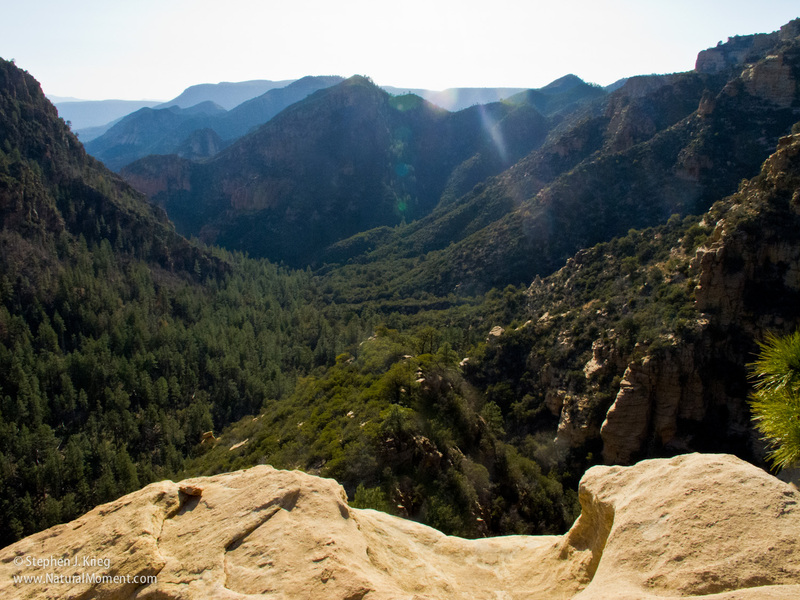 View from a point on the ridge, far up Loy Canyon in the Red Rock – Secret Mountain Wilderness west of Sedona, Arizona. 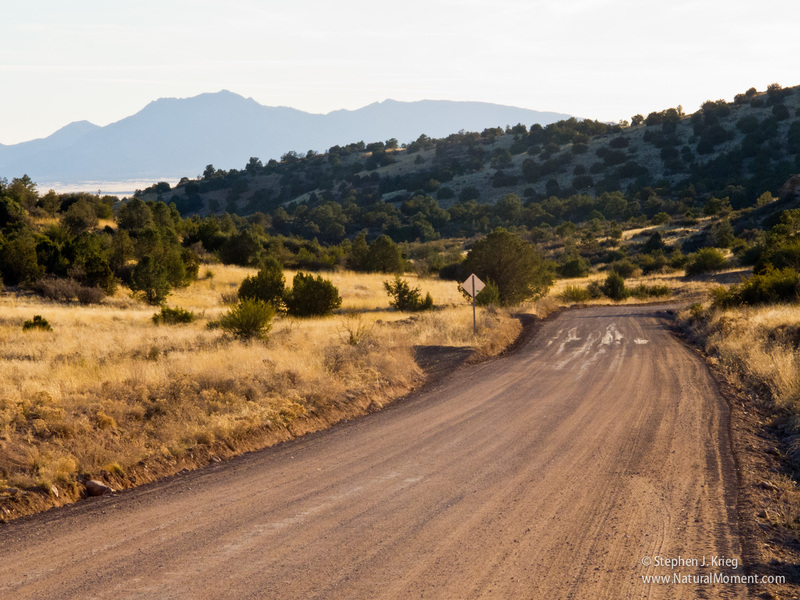 Cruising the back roads of northern Yavapai County, north of Prescott, Arizona. It’s early spring in the mile-high desert, that time of year between intermittent winter snows and the first plant growth of the season. East from Chino Valley on Perkinsville Road. A stop at the Verde River near the ghost town of Perkinsville (inaccessible to the public except by riding the Verde Canyon Railroad), then more wandering on the public National Forest roads. Lots of open country. Dry and dusty, but high and wide, too. The photographers’ Golden Hour has arrived. I find a turnout on a ridge along the Perkinsville-Jerome Road. 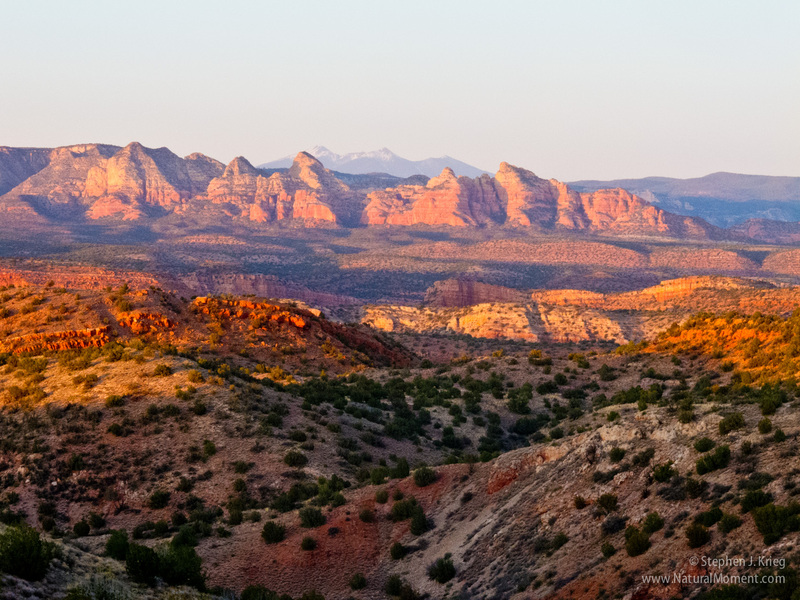 Clear views all around, but especially to the northeast, where the red rock cliffs west of Sedona are prominent. In the far distance the snow-capped San Francisco Peaks, about 80 miles away up at Flagstaff. As the sun nears the horizon behind me, the color temperature warms the light on the scenery. The reds and pinks of the various rock layers, the dark greens of the juniper and pinon pine trees, the hazy blues and purples of the distant hills and mountains. All is well. Sun below the horizon, warm colors extinguished. Cool dusk. A bit more lingering, then the return drive home.